The Joint OPEC-non-OPEC Ministerial Monitoring Committee (JMMC) will convene in the Azerbaijan’s capital of Baku on March 17-18, Secretary-General Mohammad Barkindo said in a statement, Trend reports citing Bloomberg. Ministers will then meet in Vienna on April 17 to 18 to decide whether the cutbacks should be extended beyond their scheduled expiry in the summer, according to the message. 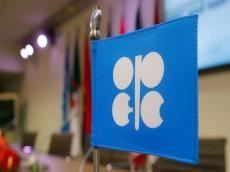 OPEC officials will meet to discuss the framework on Feb. 7 to 8, and representatives from their non-OPEC partners will follow-up the consultations on Feb. 18 to 19. The charter will be finalized in order to be considered by ministers at their meeting in April, Barkindo said.